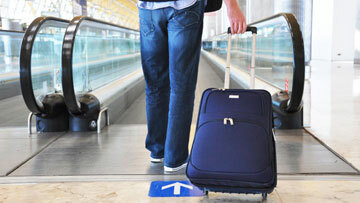 Every year, millions of Canadian citizens return to Canada from abroad. 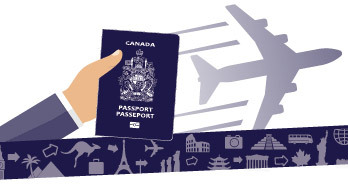 Make your re-entry safe and easy – here is all you need to know about going through customs, the process for re-entering Canada, what to do if you are sick, and information on U.S. border wait times. African swine fever can spread through contaminated food, clothing and footwear. Travellers must declare all animal and food products at the border - not doing so could result in fines of up to $1300. If you visit a farm or animals while travelling to a country that is infected with ASF, wash or dispose of all clothing and footwear work prior to re-entering Canada. Find out how you can help keep African swine fever out of Canada. 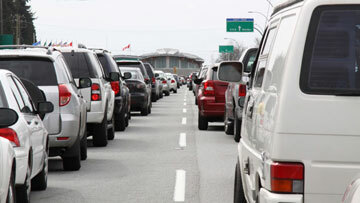 Regularly updated list of wait times at border crossing points for drivers coming to Canada from the U.S.